1. No swearing, dating, or other inappriopriate behaviour..
2. Don't be a cheater. No hacked clients. the same players definitely isn't. to trap team mates on purpose. b. Help the other team win. 6. Moderator decisions are final. (temp or permanent) depending on severity. Moderators: Kpenguin, Dragonop, stormchaser300, Calinou. Last edited by rubenwardy on Wed Feb 15, 2017 20:24, edited 13 times in total. 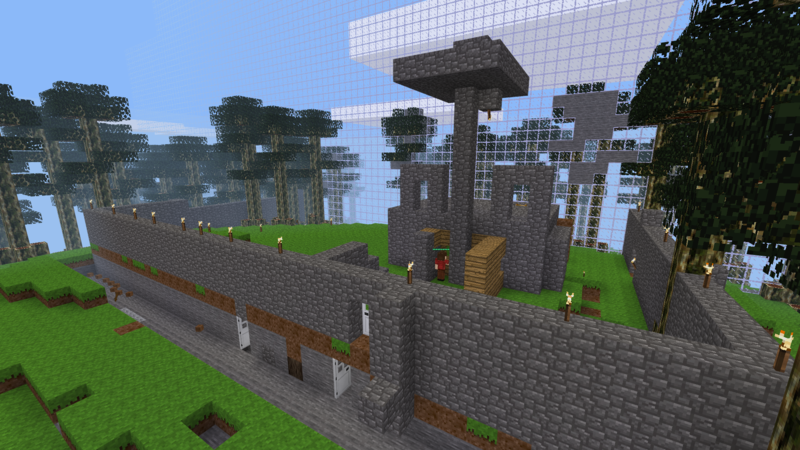 I've added guns (firearms) and bows and arrows (throwing enhanced) to the server. These mods aren't very good, it seems. They aim wrongly. I'll have to try and fix it. I saw the log before this. I think I'm going to fork/fix firearms, or make my own mod. I can't work on it until tomorrow. rubenwardy wrote: I saw the log before this. I think I'm going to fork/fix firearms, or make my own mod. I can't work on it until tomorrow. Great server! Works well for me. Is fun and popular. As Capture the flag really is something I wanted on Minetest, I'll tell you all the bad things on your server for you can correct them. Five : This is not a building server, you should remove most crafts, especially chests. Six : It seems like arrows never touch players. Seven : not enough body weapon, and not any in chests. Eight : there should be a random set of nodes put in the inventory of respawning player. Nine : I think permanent capture the flag would be more interesting, as you could really take time to build and make strategies of war. But it would need to add a count system for flag points (and maybe a system that doesn't allow player to take the flag if there isn't anybody in the camp ?). Also this would need to have an account which cannot switch from red to blue. Eleven : Maybe make a map with the two camps, as in the original CTF server ? Kpenguin wrote: Great server! Works well for me. Is fun and popular. There's the /vote_next command, which isn't particularly well advertised. I think I'll add timeouts so they drop it. prof-turbo wrote: As Capture the flag really is something I wanted on Minetest, I'll tell you all the bad things on your server for you can correct them. 1. I'm actually about to work on this today. Glass arena is GPL, which would mean that I'd have to relicense my subgame, and I also think that I didn't like the code when I looked at it. 2. I just pushed a commit (however the server hasn't been restarted) which means that all players get a wooden pixaxe, and swords are found in chests. Steel pixaxes and mese picks (rare) can also be found. 3. I won't add areas, but I think it's a good idea to stop players building close to the flag, like within three blocks. I'll also make the floor beneath the flag indestructible. 5. That's a good idea. I thought I removed the craft for chests, but apparently not. 6. Throwing doesn't seem that good, I agree. 7. What are body weapons? 8. I don't want players to be encouraged to die, and to reconnect a lot. The stuff given like that should be worthless imo - like pickaxes and light sources. Everything else should be in chests. 9. That is planned, and is what I originally wanted. This server was made to test CTF_PvP_Engine. 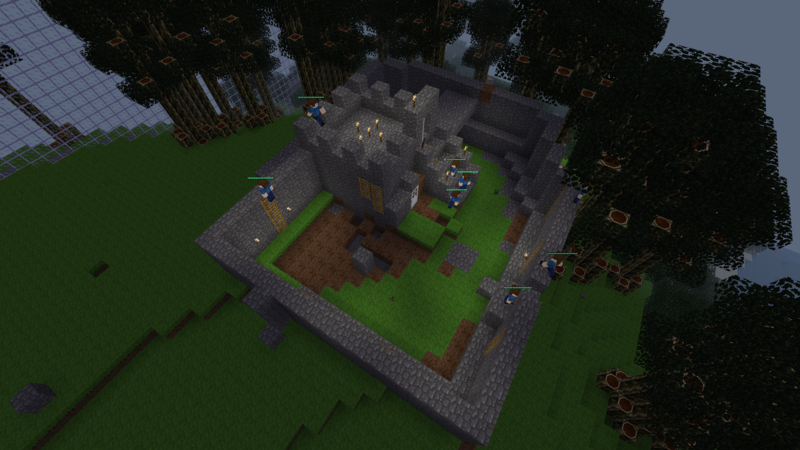 Eventually I want to make a city vs city server, with castles and factions etc. 10. Good idea. Although maybe the flags should be further apart. 11. What do you mean by the original CTF server? 7. body weapons = hand-to-hand weapons. 11. Once upon a time there was a CTF server. But it was very laggy and buggy. It was some kind of city vs city server. 1. I'm going to write a mod. It's the same code. I've been working on CTF_PvP_Engine for quite a while, however I've only recently gained the resources to host a server. That one was hosted by someone else. 13. Maybe could you put some buildings easily reachable on the map ? I rebooted 20 minutes ago. 5-too much stuff in too many chests. better: one team chest with infinite very basic(wooden tools only) supplies for 6-team only. Better stuff like guns would come later in game. 1. I'm planning on adding 2 or 3 flags per team. 2. I turned off team colors on nametags last night, so it should be harder. Unfortunately this is mostly a Minetest limitation. I'd like it to be possible to only see your team and the enemies that one of your team can see. 3. Throwing or shooting? Throwing is lagged, and I think I'll remove it. As for shooting, this is a Minetest limitation mostly, there's no client side prediction for guns. 5. The chest spawner has a bug which means that when the map is reset, it doesn't delete the old chests outside of +/- 40. So there ends up with hundreds of chests on the map. I'm going to change the spawner so that there will only be about ten chests. One for each team with basic things, one or two in random locations, rest in the center in a visible place. I'll also make it possible to put things in the team chest, but not in the center chests. 7. Players are meant to protect their bases with stone and people. I'm going to make it so that you can see the player holding a flag, and I'll make them walk 90% slower or so. I may also add passing flags between team members / dropping flags. 8. I'm going to separate flag and spawn location. I don't know how you'd solve this. 5. I totaly agree with this idea. Maybe add som kind of shared chest that works with faction ? I definitely agree that player names should be invisible. Makes it impossible to sneak up on the other team. Maybe enable it just for members of your team. I think that the person holding the flag should walk slower, but not 90% slower. I'd say 40-50% slower. I like the flag passing idea. I agree that throwing should be removed. The bows and arrows do nothing. Kpenguin wrote: I think that the person holding the flag should walk slower, but not 90% slower. I'd say 40-50% slower. This would make it impossible to win a game alone, which is the case of pretty much every game. Did you seriously ever played a capture the flag mode 0.o ? The playing area should be increased, maybe to twice its current area, and increase walk speed. Currently it feels like your crawling, CTF is a fastpaced game and this should represent that aspect. As well as slow down the speed of the player with flag. Also, maybe decrease the distance you can see players names, currently it is unlimited, which makes it hard to sneak up on someone. As well as the fact that weapons are unbalanced. A single player with a steel sword and pistol can easily take out default players. Perhaps add armor too. And please get rid of bows and arrows, those are glitchy and have horrible aim. PlasmaHam wrote: CTF is a fastpaced game and this should represent that aspect. About hiding the player nametag- I don't think it's possible; simply changing the nametag color doesn't work, because the nametag shadow still shows. I meant 90% of the normal speed, not slowed down by 90%. I just pushed ctf_barrier, a mod to contain the map. kaadmy : isn't it an alpha parameter ? If there is, so alpha 0 (or 255, it depends on how it works) would make it invisible ( a dirty way to do it, but still a way ).